Just read this blog post and want to show how to do similar search. 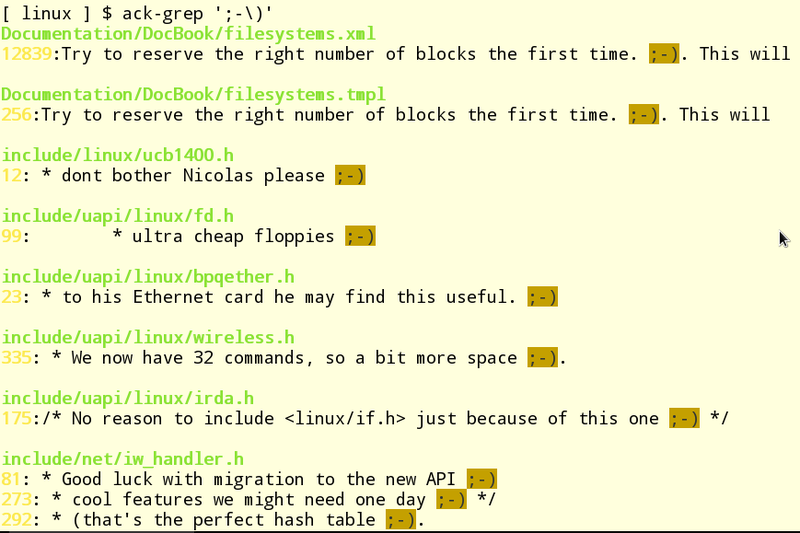 Searching in source code is trivial in GNU/Linux terminal. Most used utility for this task is grep. 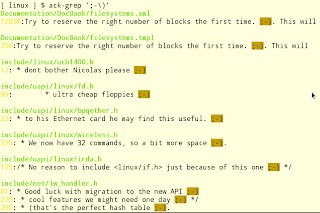 We most get linux sources, unpack it, navigate to its top directory and use ack. Full output for last command you can find here (first command output from ack there).